Data center power management vendor Eaton’s newest product has sensors that that the company says will proactively warn customers of when equipment component failures are likely to occur. Eaton’s announcement today of PulseIngisht Analaytics is part of a broader trend in the data center infrastructure management (DCIM) market moving to cloud-based platforms, says 451 Research director for data center technologies Rhonda Ascierto. Vendors such as Eaton, Schneider Electric and Emerson Network Power are evolving their platforms to collect more data their power systems generate and analyze it to provide customers with detailed information about data center performance, and even help predict and prevent downtime from equipment failure. More and more workloads are moving out of data centers and collocation facilities. Recent research from 451 says 41% of all enterprise apps are now running in some public or private cloud; a number expected to rise to 60% by 2018. But there are still many applications that are not likely to move to the public cloud anytime soon, Ascierto says. Apps that remain on premises tend to be mission-critical, which only reinforces the need for primary and backup power supply for the infrastructure that runs them. Eaton estimates that unplanned downtime costs the average data center user $471,000 per hour. Twenty-three percent of Eaton’s customers say downtime could cost more than $1 million per hour. Uninterrupted Power Supply (UPS) systems are the first line of backup if primary power fails, having the ability to kick on within milliseconds of detecting a power disruption. But UPS systems can fail too. Typically annual or monthly scheduled maintenance is performed to inspect UPS and other power systems. But Eaton’s newest line of UPS systems give customers the option of adding predictive analytics to help identify potential issues in addition to those maintenance windows. “Having a telemetry system embedded in the UPS is like having the equivalent of 365 virtual preventative maintenance visits per year,” says Art Mulligan, product manager for Eaton’s new predictive UPS systems. PredictPulse Insight is a subscription-based SaaS available in two of Eaton’s newer and more popular UPS systems, the 9395 and 9390. The systems have hundreds of sensors within them that communicate vital system information to a central Eaton processing facility in Kentucky. It’s sent via a one-way outbound email either every 15 minutes or daily. It sends data about the UPS’s batteries, capacitors, fans filters and power module. Eaton has developed a big data analytics platform powered by a DCIM product from CA Technologies and Oracle to comb the data. Eaton monitors trends in component usage from individual customers and aggregates it with data from other customers and its own experience to flag the first signs of a potential hazard. Eaton – a $21 billion global equipment supply company - is one of the first vendors in the DCIM market to offer what it is calling predictive analytics that warn customers of potential issues before they cause a problem. But Eaton’s power system management peers are aggressively developing cloud based DCIM platforms too, Ascierto says. 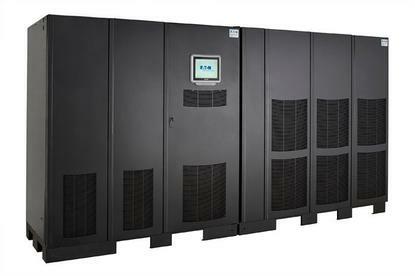 Eaton thus far has focused its PredictPulse Insight product specifically on the UPS market. Meanwhile Schneider has not yet rolled out a predictive platform, it has cloud-based monitoring for a wider spectrum of data center equipment beyond UPSs, Ascierto says. Some facilities managers are squeamish about sending infrastructure data to their vendor, especially data related to mission critical and in some cases apps with strict compliance requirements. But Ascierto says customers shouldn’t worry; data is wrapped in robust encryption and infrastructure performance statistics are not intellectual property. In fact it could benefit customers in the long-term if they send data that helps their providers better prevent future downtime. Eaton’s PredictPulse comes in two flavors: The standard SaaS-based monitoring platform comes with a dashboard for customers to view status updates, any alarms and detailed health and trend information, plus a monthly summary report. It costs $240 per device per year. The higher end PredictPulse Insight platform includes all of the standard features, plus the advanced analytics capabilities that Eaton says will allow the company to help customers predict component failures before they occur. It’s available as of today for $1,200 per device per year. Eaton plans to roll out the predictive analytics to other products next year.